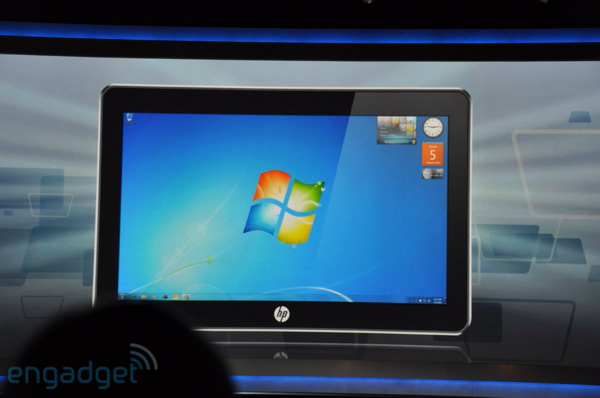 As reported ahead of time by many sources, Steve Ballmer showed a new Windows 7-based tablet PC from HP at CES 2010 this evening. There’s a Windows Task Bar on the bottom of it. There’s no keyboard (although I’m sure you can plug one in somehow if you wanted to), so this device is meant to work via touch. There’s just one problem (and I think it’s a REALLY big problem): Unless I’m mistaken, it’s the Windows 7 touch technology. They haven’t developed a new version for this device as far as I know. I wrote about the touch in Windows 7 after I received a free tablet PC with Windows 7 when I attended Microsoft’s PDC event a few weeks ago. They didn’t do this right. “Anyway, all these “slates” announced tonight are just tablet PCs running Windows 7 — a terrible interface for a touch screen. Nice job, Ashlee Vance of the New York Times. For the last 18 years I have had a credit card with Citibank. I opened it in 1991 as a college student. I called them today because I’ve been a customer for a really long time, with a perfect payment history for a good couple of years now, and I was interested in having my interest rate reduced. It is currently 18.99% and I felt that even if they lowered it by a single point it would be a huge win. I was informed that on November 30th, my interest rate was going up to 29.99%. “Why? What did I do?” I asked. “What are my options here?” I asked. “Well, you can reject the rate increase and close the account.” she explained. I’m just kind of numb that they would do this. Then I realized that the number of people who will close their accounts is far, far less than the number of people who will pay the higher interest rate so they can have their credit.